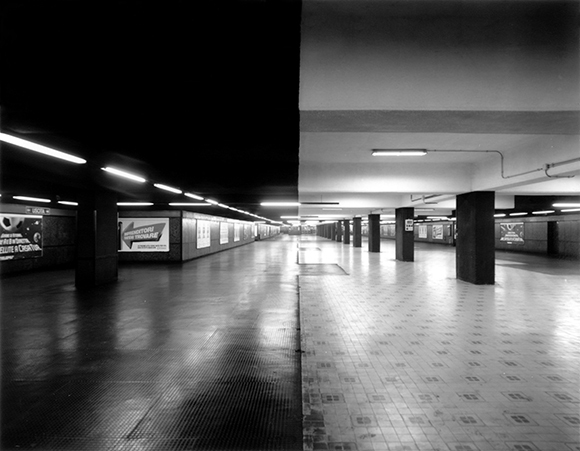 Espèce d’Espace is shot in a subway station in Milan. During the first 50 seconds of fixed frame we believe to see an artificial construction, a space divided into two different parts. But at the end of the video we understand that the place is real, the sound grows louder and reality makes itself felt to our eyes. This work intends to show how reality can be ambiguous, as its perception depends on our point of view, physically and mentally.